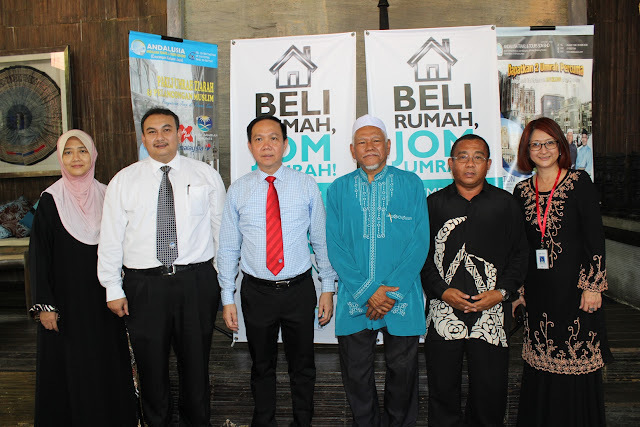 A collaboration between IJM Land Bhd and Andalusia Travel & Tours Sdn Bhd, one of the top Umrah travel agency in Malaysia has given potential Bumiputera buyers the option to purchase a home from IJM Land’s Seremban 2, Seremban 2 Heights or Seri Binjai @ Rahang and simultaneously, travel to Saudi Arabia to perform Umrah to fulfil their religious quest. Mr Hoo Kim See, Senior General Manager of IJM Land Central Region said that with promotion lasting until 31 July, this will partially lift the financial burden off Bumiputeras in helping them to purchase their home at an affordable price and providing them with a solid platform to achieve their spiritual duty of a holy journey. “Living in a diverse and multicultural country, we at IJM Land understand that for Muslims to perform their pilgrimage is a personal success of their own spiritually. However, to embark on this pilgrimage can take a hefty amount from their savings, and purchasing a home is not a walk in the park either, and we know both are equally important for them. 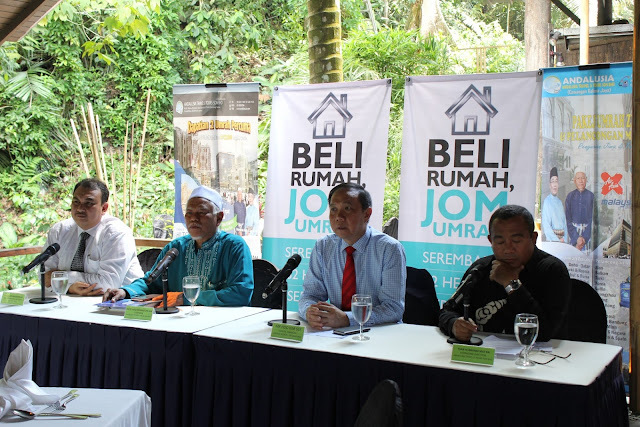 “By introducing ‘Beli Rumah, Jom Umrah’ to our fellow Bumiputeras, we hope that this will put their minds at ease to not having to go through the stress of only choosing one priority at a time,” said Mr Hoo at a media luncheon earlier. For every unit purchased, IJM Land is offering buyers an all-expense paid trip for 12 days for 2 persons to perform their Umrah. The trip will include air tickets, accommodation on twin sharing at Hilton Towers, Mekah for 6 nights and Mawaddah al Waha/Mawaddah al Huda, Madinah for 4 nights, ground transport and international buffet. 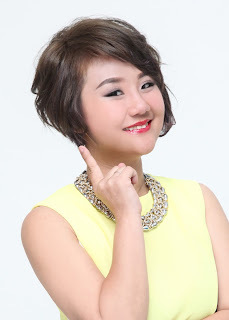 In addition to the trip, IJM Land offers accessible ownership package to assist buyers to own a home ranging from low down payment, 0% interest instalment plan up to 36 months via credit card, free 2 years S2 Club subscription fee, subsidy on legal documentation fee, and among other benefits which buyers can enjoy. As for IJM Land’s loyal customers, they will enjoy an additional rebate ranging from 1% to 1.5% under the IJM Land’s Purchaser Priority Programme. 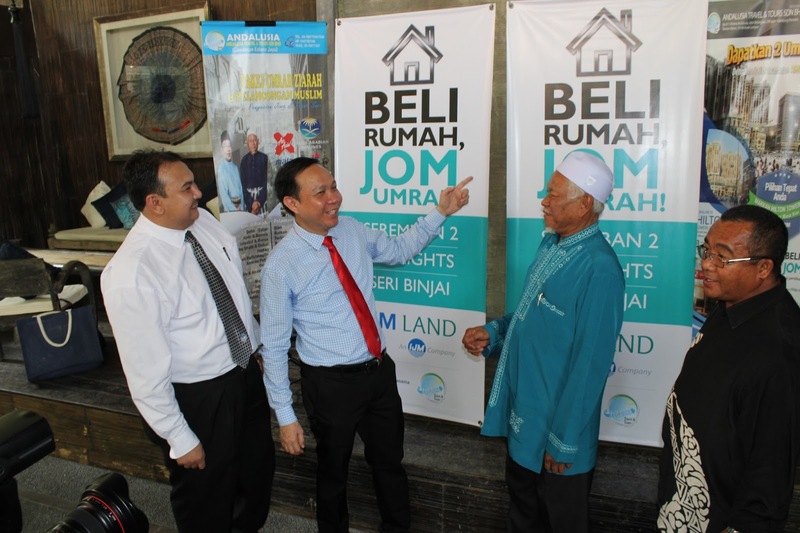 Mr Hoo mentioned that buyers who wish to purchase a property but are not ready to start their pilgrimage can transfer the Umrah trip over to their parents, whom IJM Land is more than happy to accept and described it as a gift of love. “Buying a home is a big investment in life that needs careful financial planning whereas to be able to perform Umrah is definitely a privilege of a lifetime and can bring great rewards to the pilgrims. Seremban 2, IJM LAND's flagship development in Negeri Sembilan is a 2,300 acres self contained township offering modern amenities and convenience of a city while maintaining the grace and serenity of a country atmosphere. To date, Seremban 2 has emerged as one of the most progressive and successful development in Negeri Sembilan and the development are currently at 90% completion with population of 50,000, with 30% of the township consisting of Bumiputeras. Some of the properties that are on sale under the ‘Beli Rumah, Jom Umrah’ campaign are the 20’ x 70’ 2-Storey linked homes price from RM488,110, 22’ x 70’ linked homes from RM558,410 and 24’ x 80’ super-linked homes price from RM661,010 and the other to be 2-Storey semi-detached homes price from RM925,110. Some of the properties are completed and ready for buyers to move in – which involved additional savings in terms of interest for buyers. To top it off, buyers can view the actual property before paying the deposit upon request. “For us at IJM Land, we want to make buying a house for our buyers no longer a dream, but a real possibility,” said Mr Hoo. For more information on Jom Umrah campaign and other developments from IJM Land, visit www.ijmland.com . Note: “Beli Rumah, Jom Umrah” campaign is not a contest but a promotion open to all Bumiputera buyers where for each unit purchased (only for selected properties) with IJM Land will entitle them for the Umrah package immediately.